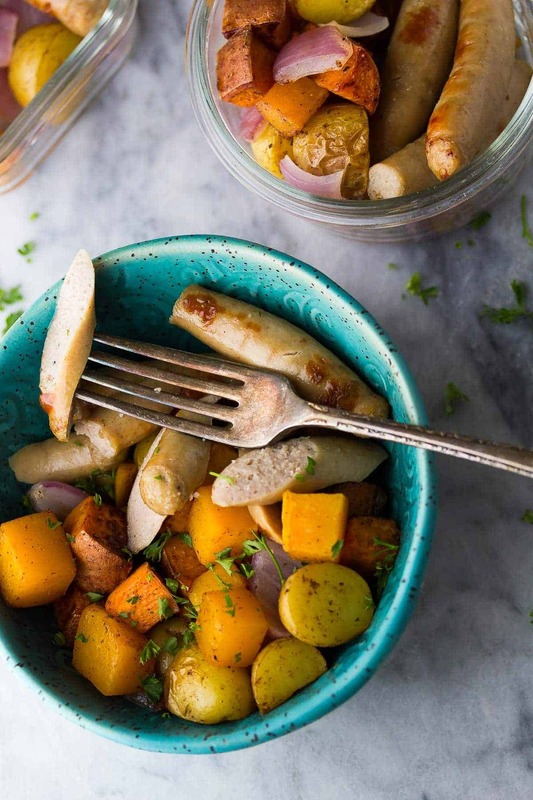 Make ahead healthy sausage breakfast bowls with roasted root vegetables and turkey sausage. Prep ahead and re-heat for tasty meal prep breakfasts. Ahhhh…there is something SO nice about getting out of town for the weekend. Especially if it involves rooms full of food bloggers, amazing food, and people who ‘get’ what you do. 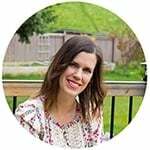 I have just returned from the Food Bloggers of Canada 2016 conference in Toronto and today I am either fighting some mild jet lag, or just recovering from the crazy amount of food I consumed this weekend. 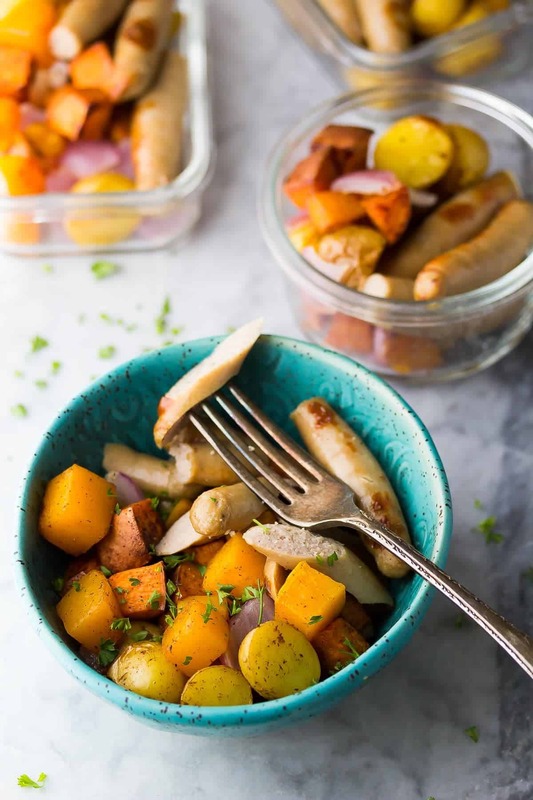 Either way, I’m a day late with this post for you, but I’m here anyway, and I brought another handy make ahead breakfast recipe for us: these make ahead healthy sausage breakfast bowls! This one’s for all you savory breakfast people. Turns out, that’s actually most of us! I polled my Facebook group and an overwhelming number of people prefer a savory breakfast, which I was a little surprised to hear! Anyway. Savory breakfast. Here we are. 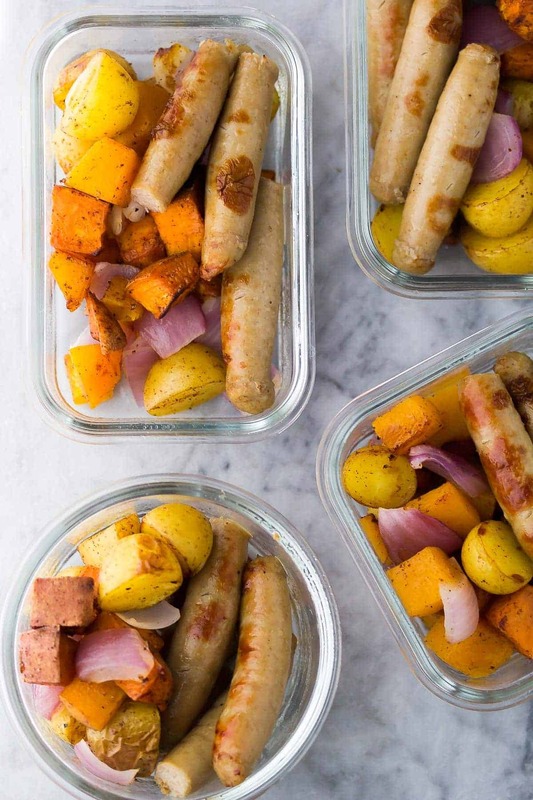 These breakfast bowls (for lack of a better way to describe them), contain turkey sausage and roasted veggies. For these photos, I used potatoes, sweet potatoes, butternut squash, and threw in some red onion for the last 15 minutes. I tossed the veggies in some maple syrup and cinnamon which gives this meal a really cool sweet/savory flavor. Not feeling a sweet/savory flavor in your breakfast? Swap with some cajun seasoning. Also very delish! I decided to roast the sausage while I roasted the veggies, but I think I prefer the texture of barbecued sausages. So if you can still get out there and grill, do that! Fewer dishes and a great texture. These breakfast bowls are great. You just heat them gently in the morning, and eat them right up. They are so tasty, have a good helping of veggies, and they will keep you full! I hate getting hangry mid-morning. I know when I eat a tasty breakfast that actually fills me up, I know I start my day off on a much better note. So let’s hope this means a happily productive day for us. Happy Tuesday, friends! Stay tuned for a DELISH slow cooker recipe coming your way on Thursday! 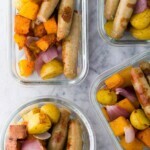 check out this round up of 28 Breakfast Meal Prep Ideas for a ton of inspiration! Place a wire rack over a baking sheet and add the sausages. In a large bowl, toss the veggies with the olive oil, maple syrup, cinnamon, salt and pepper. Bake everything for 15 minutes. 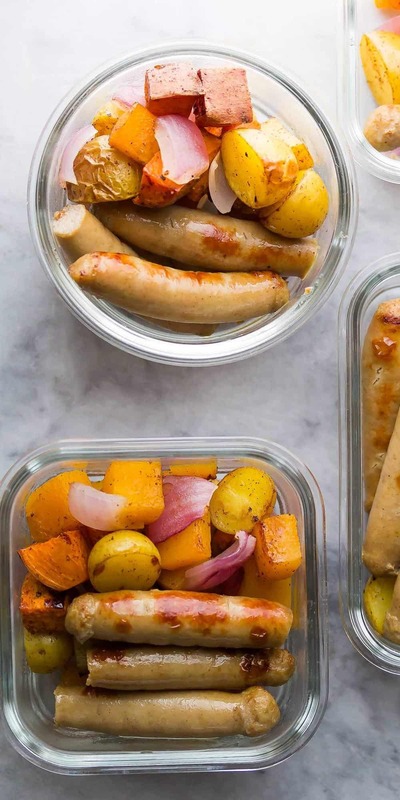 Flip the sausages, stir up the potatoes, and return to the oven for another 15 minutes. Remove the sausages from the oven and allow to cool. Increase the oven to 450°F. Scatter the onions over the potatoes. Return to the oven and bake for another 15 minutes. Cook time is for the (small) breakfast sausages. If you use larger sausages you will definitely need to increase the cook time. I love these! And I LOVE breakfast sausage but it can be so high calorie, so the turkey sausages are great! It was so nice to see you again this weekend! the use of chicken or turkey sausages. Once you add maple syrup, potatoes, and sweet potatoes, you are talking major sugar/starch, acute rise in insulin levels. Totally fair points, Frank! 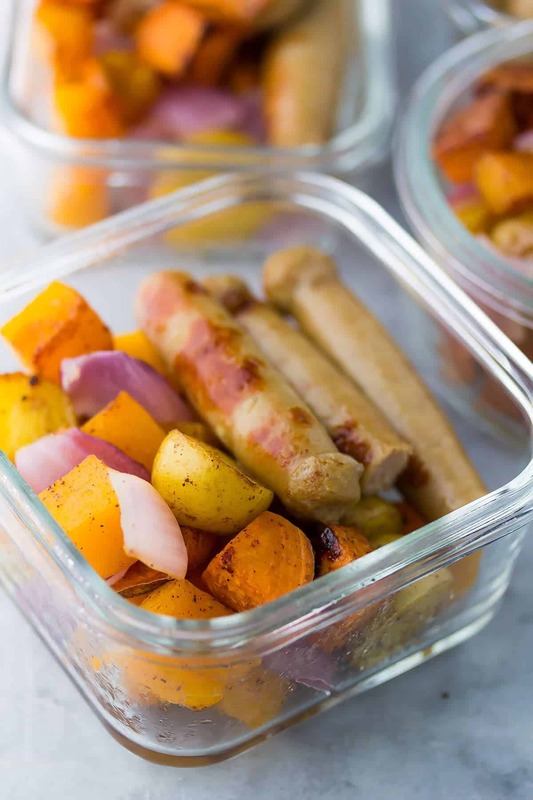 I was inspired by this type of recipe, and felt that by using healthier ingredients (no bacon or cheese, used turkey sausage), including LOTS of veggies, that made this healthier. Plus I mentioned in the text (will add this onto the recipe) that you can add Cajun seasoning in place of the maple syrup.